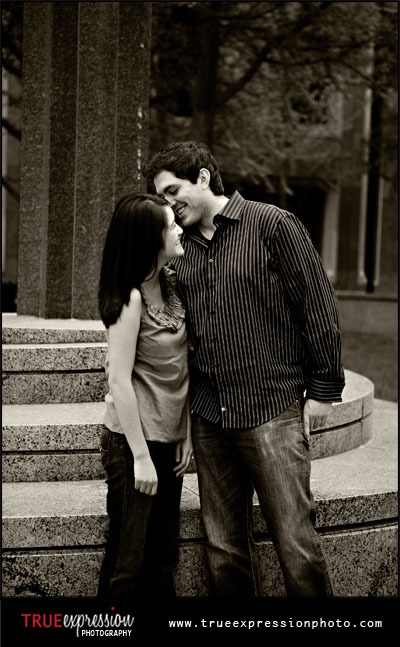 They met in high school and laughed as they recalled their first date ages ago. 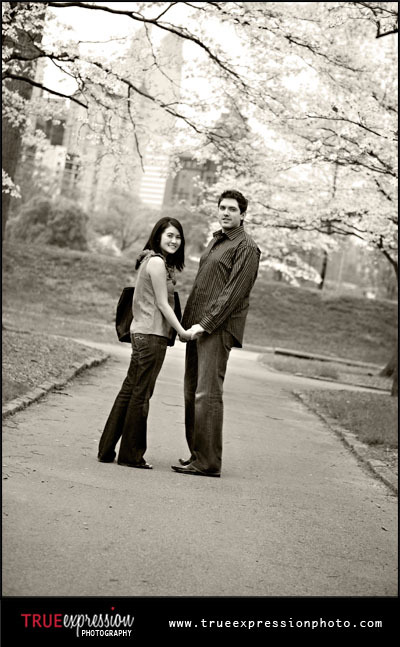 Through separate colleges and jobs in different cities, they spent a lot of time dating long distance. 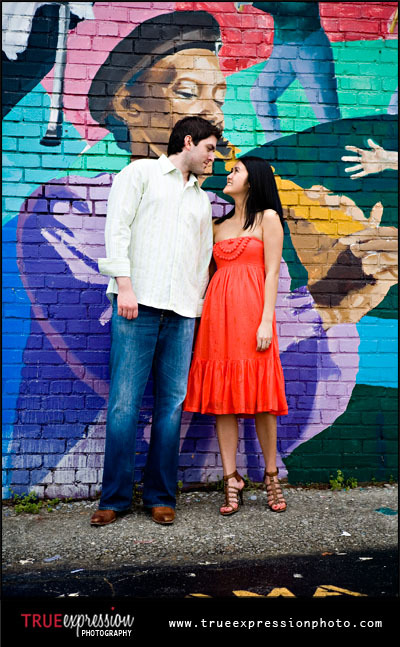 Darlene and Jon are happy to be once again living in the same city and now planning their wedding. 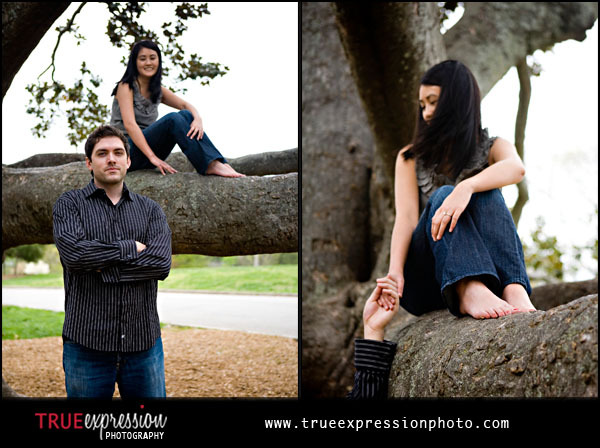 They got engaged by a tree in Piedmont Park after a picnic near Park Tavern. Darlene thought it was her idea to go to the park, but little did she know, Jon was planning to propose that afternoon. 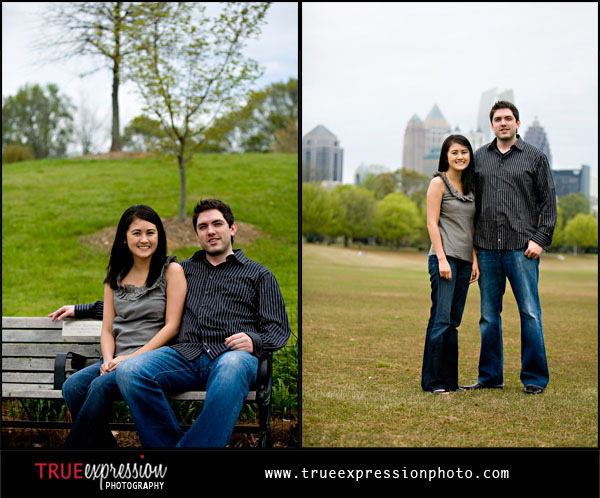 When it came time to choose a place for their engagement photos, it was only appropriate that we would start at Piedmont Park, near the tree by Park Tavern. 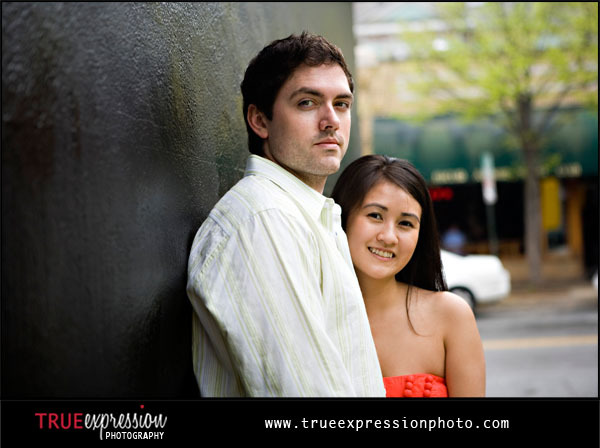 It was tough to narrow down the photos for this post- these two look great in every photo! We couldn't have picked a better time of year for their photos. The trees were in bloom and made the perfect backdrop for their photos. After wandering throughout Piedmont Park, we walked around Midtown. Hoping the rain would hold out a little longer, we headed to Little Five Points to get some cool shots at some of their favorite spots, and in Little Five Points there are definitely a lot of fun places to shoot! These two are awesome- they didn't let a little rain stop them! We couldn't leave Little Five Points without a few shots in front of the Vortex! 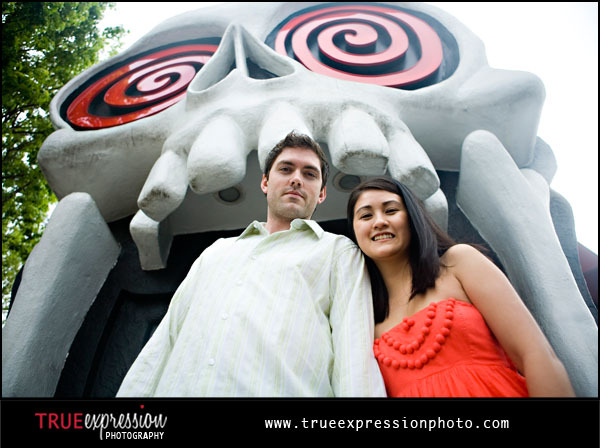 What a cute couple...and I love her shoes! :-) Great work, as always Kelly! I bet they're thrilled with these! What an adorable couple - and that girl has killer style. I'm sure they love how you've captured their interactions. What an adorable couple! 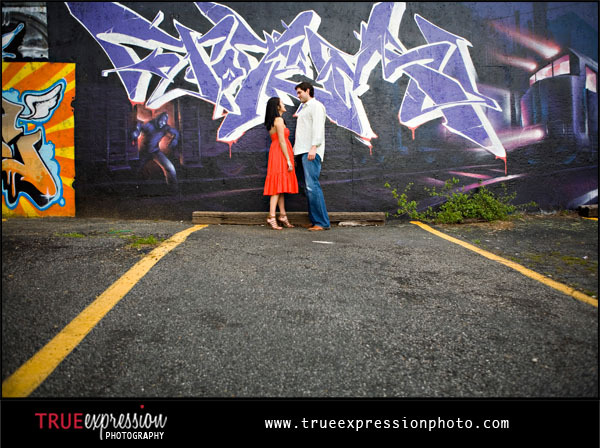 I love the urban shots, but my fave is the last one taken at the park! Good lookin' couple, should be a great wedding. Great session! Beautiful couple too... I also love the bw under the trees... and the last shot is so cute! Very nice! They look like such a fun, sweet couple! I'm sure they loved the pictures! What a fun shoot! I love her dress - the color of it just pops! I love the huge tree she posed in. Very nice shot and the blooming tree shot in b&w. Beautiful images! Cute couple. They look like they are having so much fun together. I love these pics, what a neat slide show! So many different looks captured, you guys look great. I've been seeking to discover some good GPA scholarships on-line, but could not find any till now! Then I found this web site, so positively examine them out! They even give away huge amounts of daily cash! The very best[url=http://www.gpascholarships.org] gpa to have scholarship[/url] for your schooling right now! 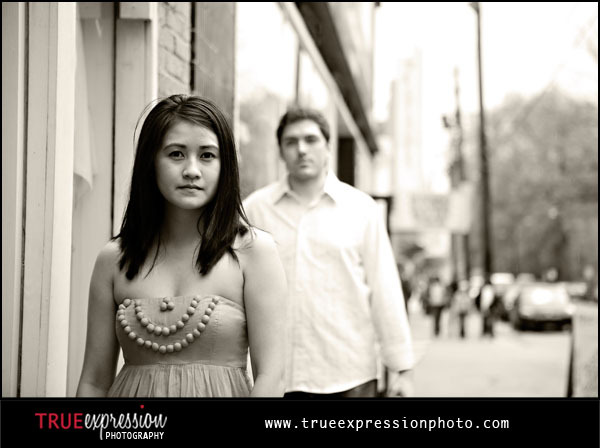 Darlene & Jon: Sneak Peek!